IIFT 2019 Final Result has been released. Indian Institute of Foreign Trade (IIFT) is one of the well known institutions of India. The university offers admission into MBA (International Business) through IIFT examination. This entrance exam is conducted once in every year. It is a national level entrance test. Candidates can get the details information about IIFT 2019 including application dates, eligibility, syllabus, result, etc in this article. IIFT 2019 Final Result has been released on 19th April 2019. Check here for result details. IIFT 2019 Score card has been released on 25th January 2019.Check here for score card details. IIFT 2019 Question Papers for various sets have been released. Check here for answer key & question paper details. Based on marks obtained in Written Test, candidates will be called for Writing Skills Assessment, Group Discussion and Interview. IIFT 2019 Admission Process will be held in April 2019 at various centers. The admission to the NRI or foreign nationals will be provided on the basis of GMAT score and interview. The score card has been released after the declaration of result. In the IIFT score card, candidates can check their marks secured in the written entrance test. The score card has been published on 25th January 2019. The score card can be accessed by entering the roll number and date of birth. The IIFT result has been published on 15th January 2019. Candidates can get their results through online mode only. On the basis of result, the candidates has been shortlisted for the further admission rounds. 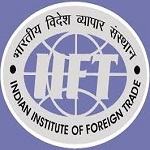 The Indian Institute of Foreign Trade (IIFT) will release the answer key after the completion of exam. The answer key will also be released by some private coaching institutions which will contain answer from all the sections of the question papers. With the help of IIFT answer key, the participating candidates would be able to find out how they performed in the examination. They can also calculate the estimated marks so that they can prepare for further admission rounds. Question: In which mode, the IIFT 2019 application be released? Answer: The application form can only be accessed through online mode. Question: What proof has to be submitted to show that we shall finish the graduation by October 2019? Answer: You can produce the provisional marks sheet of the qualifying exam. Question: What is meant by OBC-NCL? Answer: Candidate will belong to OBC (NCL) category only if their cast/community appears in the Central List of Other Backward Classes which is recognized as a Backward Class. Question: Is there any minimum age limit to apply? Answer: There is no minimum age limit to apply. Question: Can I change my exam center? Answer: Yes, you can change only on payment of Rs. 1000/-. Question: How should I know about the releasing of admit card? Answer: Admit card will be sent to the candidates through post by the authority. It can also be accessed through the official website of IIFT. Question: After how many days I will receive my score card? Answer: After one week of the declaration of result, the score card will be made available to download. IIFT registration 2019 can be done through online mode. The starting date for obtaining online application is 7th August 2018. The application form can be filled till 15th September 2018. Candidates have to fill their education details and upload the scanned images of photograph (file size not more than 50kb) and signature (file size not more than 20kb) in .jpg / .jpeg format only. SC/ST/PWD/OBC (Non-creamy layer) candidates need to attach the relevant certificate with the application Form. Candidates should fill the admission test center carefully. Extra fee will be charged for changing the opted center. No need to send print out copy of the filled application. Take the print copy of application for future references. The cost of application form is Rs. 1650/- (825 for SC/ST/PWD candidates) which includes application screening and entrance test fee. The fee can be paid either through online mode by using credit card/debit card (Visa or Master). The application fee once paid cannot be refunded. Nationality: Candidate must possess the Indian nationality. Foreign nationals are also eligible to apply. Age Limit: There is no age limit to apply. Qualifying Exam: Candidate must hold the bachelor’s degree of minimum 3-years of duration in any discipline. Minimum Marks: Pass the qualifying exam with minimum of 50% marks (45% in case of SC/ST/PwD candidates). Appearing Candidates: Those are studying in their final year examination of graduation degree are also eligible to apply. The admit cards can be downloaded from 17th November 2018. The authority has release the admit card through online mode only. With a print out of the IIFT admit card 2019, candidates have to reach the venue of the exam with one of the following documents: Passport/Election I-Card/Aadhar Card/PAN Card/Driving License/College I-Card. Mode: The test will be conducted in pen paper mode. Type of Questions: Objective type multiple choice questions will be asked in the exam. Medium: The exam will be asked in English language. Duration: 120 minutes will be given to complete the whole exam. Marking Scheme: Every question has different marking scheme. The marks will be ranges from 0.5 to 1.00. Negative Marking: 1/3rd of each question will be deducted for wrong answer. The IIFT syllabus will be consists of questions covering English Grammar, Vocabulary and Comprehension, General Knowledge & Current Affairs, Logical Reasoning, Data Interpretation and Quantitative Analysis. There will be no such syllabus provided by the official authority. Candidates should practice the previous year question papers to get idea about the type of questions asked in the exam. Ahmedabad, Allahabad, Bangalore, Bhubaneshwar , Chandigarh, Chennai, Coimbatore, Dehradun, Delhi, Guwahati, Hyderabad, Indore, Jaipur, Jamshedpur, Kochi, Kolkata, Lucknow, Mumbai, Nagpur and Visakhapatnam. If you have any other queries about IIFT 2019, you can write your queries in the comment box given below. Registration has not been started yet. When do I need to submit gmat score? Given that I’ve not given gmat till now . I have not given my gmat exam yet,can I apply for the exam this year? if a applicant has passed graduation with 45% marks, then is he eligible for MBA from IIFT? Yes. But only if he/she belong to SC/ST/PwD category. Am finial year student of bachelor’s degree and am having my final semester in the month of March and IIFT group discussion round and personal interview rounds are also held in March then how can I attend those final rounds can you have any chance to request about thins. You should contact to the officials in this regard. And IIFT exam date is also on 1st week of December.. So can the dates of exam clas? ?